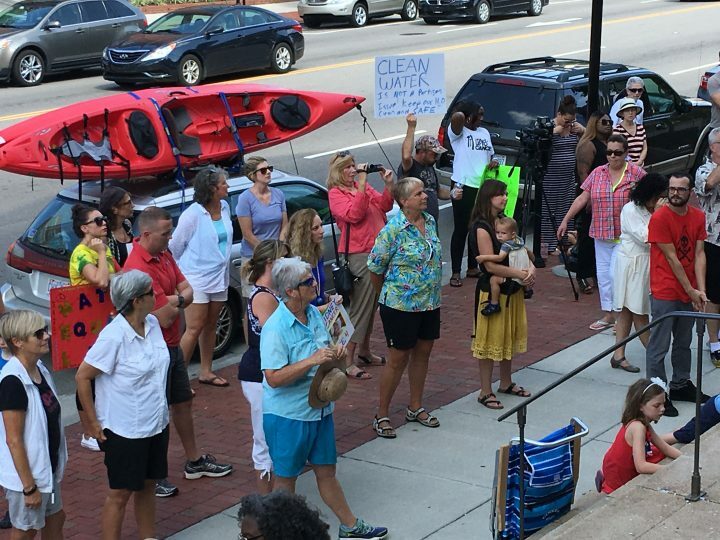 WILMINGTON – When the news broke in June that GenX and other chemicals had been detected in the Cape Fear River and the area’s treated drinking water, it was a call to action for many, both new and experienced environmental activists. A handful of organizations have rallied or regrouped in response to the threats to clean water, shining a spotlight on the issues and industries that often operate behind the scenes. This summer, concerned residents have organized rallies and forums to help focus efforts to address the problem. The Wilmington group, Stop GenX in Our Water, has a Facebook following of more than 9,000 members and recently helped organized events with well-known activist Erin Brockovich. 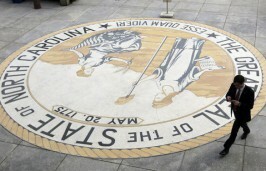 Other organizations, such as the Brunswick Environmental Action Team and the New Hanover chapter of the NAACP’s Environmental Climate Justice group, say this issue has forced them to reorganize their priorities. Clean Cape Fear members were already active in community affairs when they met in June. 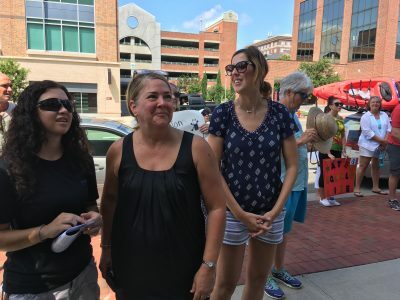 Clean Cape Fear members represent grassroots organizations such as Women Organizing for Wilmington, or WoW, along with scientists and politicians. Adrian Schlesinger is another person who wanted to do something after hearing about GenX. As someone who has been dealing with a long-term illness for many years that leaves her homebound, she needed the help of her parents to get access to unpolluted water. “I know that not everybody has the help I do,” Schlesinger said. She formed Wilmington Water Share to do the same for others. She collected water and delivered it in a limited area. Eventually, though, she said it seemed a wise choice to merge her group with Stop GenX in Our Water and donate her supplies to them, but she has no plans of stopping her activism. That’s a similar sentiment and frustration with the status quo that’s led to a reinvigoration of the Brunswick Environmental Action Team, said Sandra Ford, who is on the organization’s interim board. The group was founded in 1996 but faded after about a decade of activism. Organizers reactivated the group earlier this year to fight a number of threats. “Offshore drilling, terminal groins. Stuff just keeps coming,” Ford said. And now there’s water pollution. 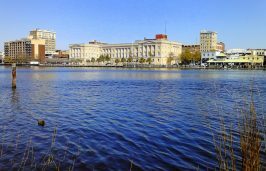 Ford recently spoke at a clean water rally in Wilmington. Contaminated water offers more reasons to bring awareness about environmental issues. “I think there is a segment of the population here in Brunswick County that has no idea that this even exists,” she said. 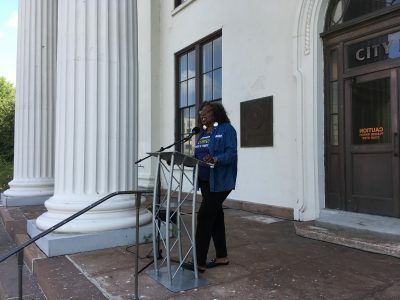 Awareness, especially of those problems that disproportionately affect communities of color, was a reason that the NAACP added Environmental Climate Justice to their national platform two years ago, said Deborah Maxwell, president of the New Hanover County chapter. “It was necessary to address a number of issues that keep coming up,” she said. The local group meets once a month and clean water is just one topic they discuss. She’s a frequent speaker at local water rallies because, she said, this is a concern that affects the community as a whole, and perhaps some of that interest and energy can be channeled into larger environmental issues. Clean Cape Fear, Donovan said, will continue to push for transparency and more open meetings regarding GenX and continue to reach out to local politicians. Another of Clean Cape Fear’s priorities has been distributing information, including flyers, to those who might not have access. This includes bilingual information and a fact-checked website. “We are very careful about what we have up there. It’s all vetted by scientists,” Donovan said. Ongoing campaigns include getting clean water to more people, such as students in local schools. Burdette, the Riverkeeper, says there’s a familiar pattern with this type of contamination. “First, there’s a public outcry, which happened here?” Burdette said. Gradually, though, the focus tends to shift and it can be difficult to maintain the urgency. 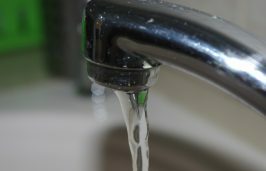 It’s up to these groups and activists to help to continue to apply the pressure on politicians and polluters to change water quality for the better, he said.